The many years of selfie practise is not a waste of time after all! Who knew selfies could actually do good for us? From the song called "Selfie" to "Hitzselfie Contest" and now Kiss Me Selfie? (Let me know in the comments below if there are more "Selfie" contests going around. I was invited to experience this Selfie Fixation Contest, courtesy of Manoah. 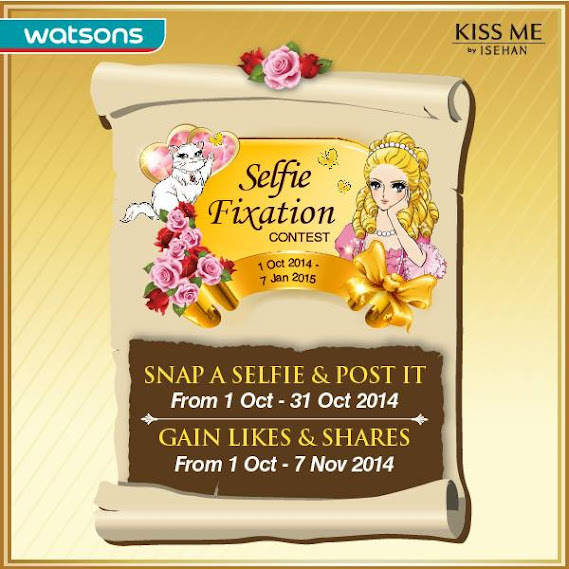 If you're like me, who loves to take selfies *which im pretty sure most of you do*, then join this Kiss Me Selfie Contest! 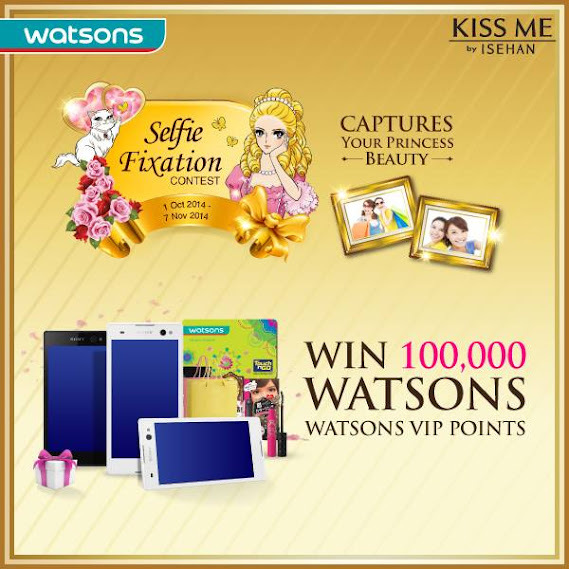 Visit any Watsons at Mid Valley, One Utama, or Pavilion, and go to the Kiss Me Pop Up. There you will see a camera phone waiting for you to take selfies. Kiss Me made the procedure pretty simple and user friendly. After you are happy with your picture, you can submit it. You will then receive your selfie number. 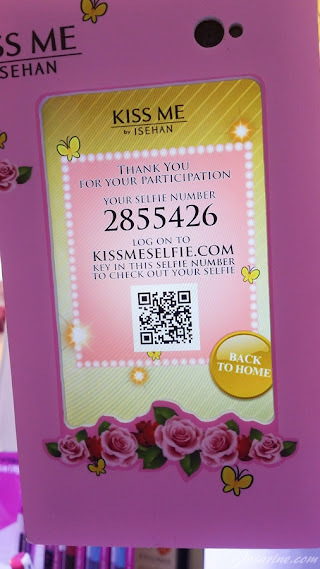 You may choose to upload it straight with Kiss Me's phone, however you will have to log in to your Facebook. Personally, i would suggest you capture this selfie number and upload it with your own phone for safety reasons. 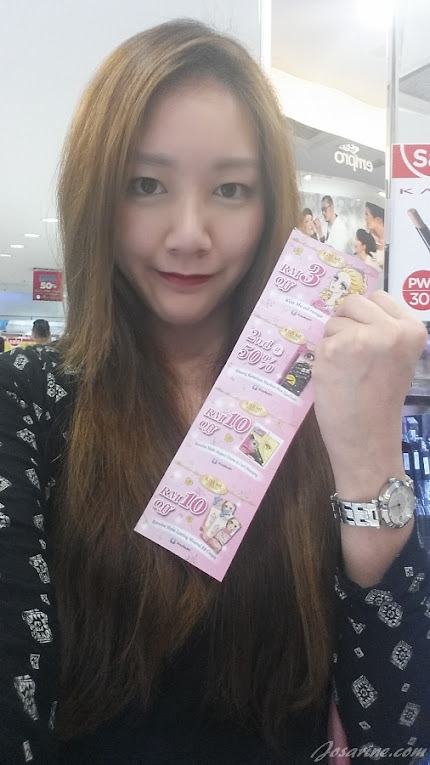 After taking the selfie, I was given Kiss Me vouchers. 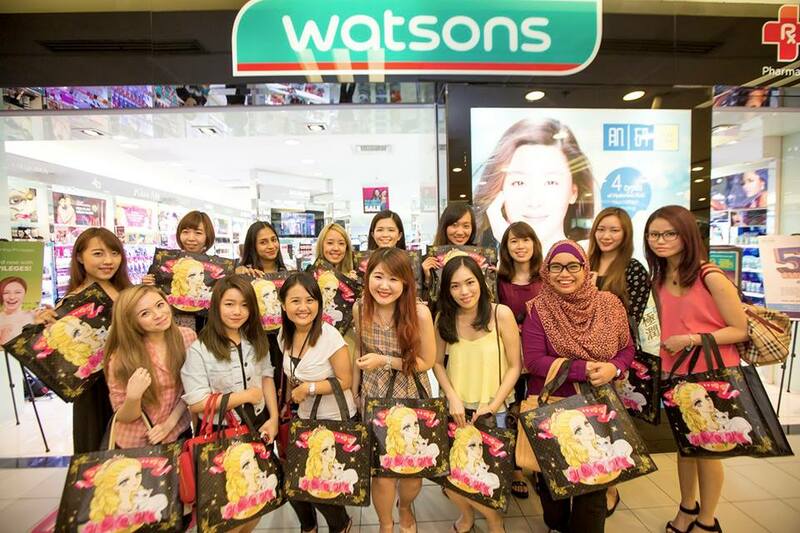 If you purchase with any of the vouchers on the spot, you will be given a chance to join their weekly lucky draw. 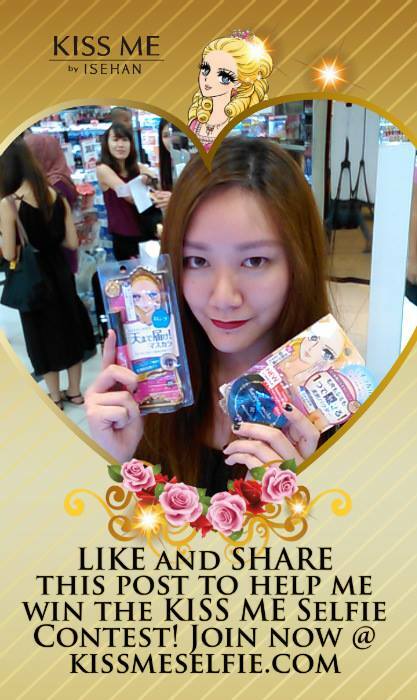 Every week 10 people will win RM100 worth of Kiss Me products! 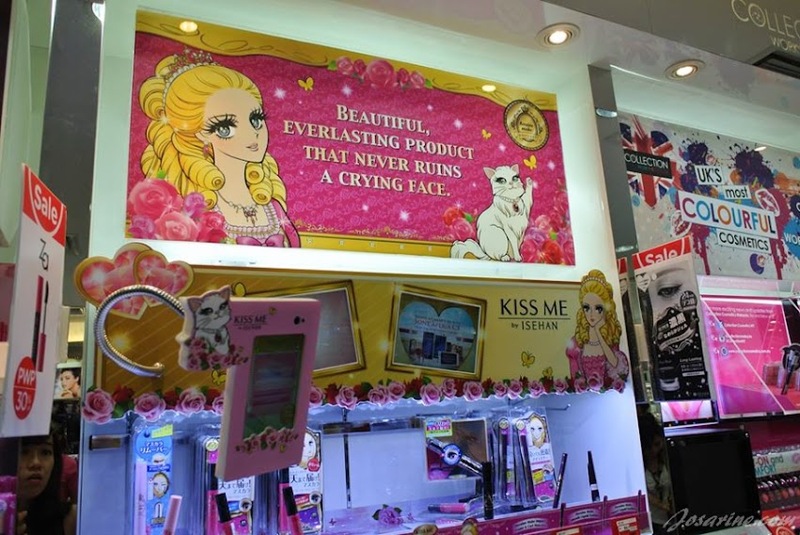 As for the most 'Shares', you will win 1 year supply of Kiss Me Products. Honestly, I never knew Selfies could be an asset. Such an easy contest to win great prizes.